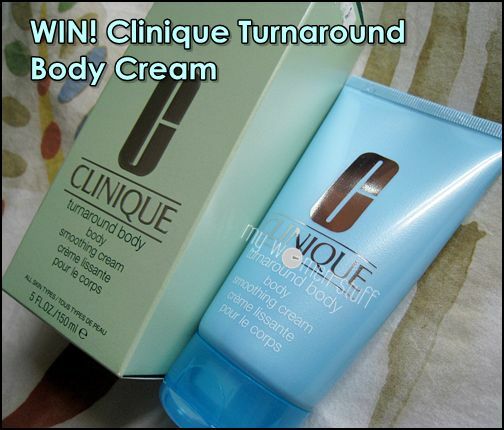 Reader Connie was the winner of the Clinique Turnaround Body Smoothing Cream in a previous giveaway and after she received her prize and tested the product, she dropped me an email as per my request to tell me what she thought of the cream. I’ve tried the Clinique Body Smoothing Cream and find that it’s a bit sticky and greasy. I’ve given some to my colleague to try. She’s in her early 50s and said it’s very good. The cream made the wrinkles on the back of the hand ‘disappear’ right in front of her eyes! The lines are less prominent. The skin looks like its glowing (probably due to the oily stuff?). Have to use for longer period to see if it can really make the lines “disappear” for good. Overall, I think it’s a good cream for anti-age (for hands) but for daily body moisturizing is a big No-no for me. A 150ml tube of Clinique Turnaround Body Smoothing Cream retails at RM150 at all Clinique counters. PREVIOUS POST: False Lashes in Mascara ads : Does it bug you?